There are a few different categories of holiday travel to choose from. For the sightseeing tourist, of which I am one upon first visits to new cities and countries, there’s one sort. For the slower, more relaxed visitor – one less concerned with seeing the sights (perhaps because she/he’s already seen them a few times) – there’s another sort. In Berlin, I’m glad to have fallen away from the former and toward the latter. On my first day in Berlin, I didn’t leave Kreuzberg. I wandered its streets and selected a café that seemed appealing (from the dozens at my disposal). There, I sipped cappuccinos, read my World War One (Keegan) book, and wrote for three hours. 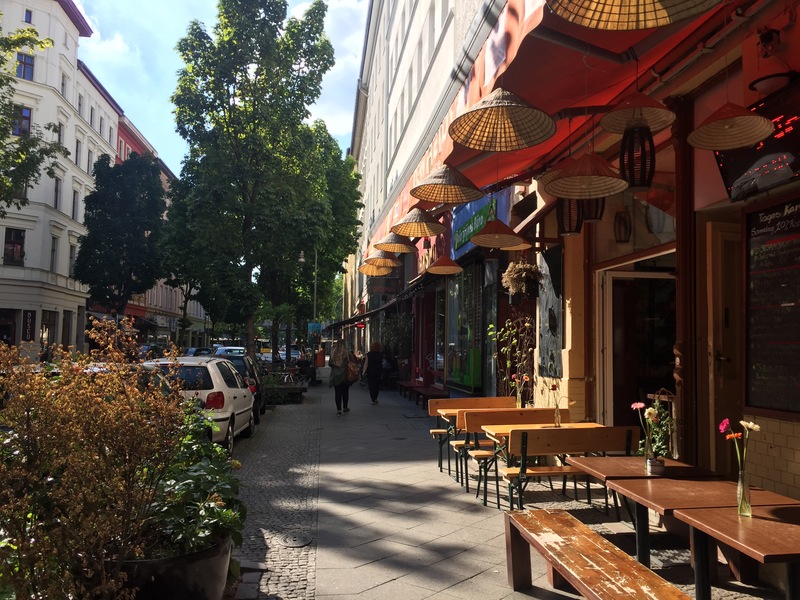 On day two, I walked along the East Side Gallery toward Alexanderplatz and turned north by way of the U2 into Prenzlauer Berg – there, I walked the streets and stopped at a café for some reading; I spent a few hours in a city park doing the same. There’s a theme here. Having visited the top sites in Berlin several times on three prior visits, I no longer feel the pressure to see them on these subsequent visits. I take in the neighborhoods and do quite a lot of strolling around (8 miles covered on foot yesterday). The café culture of Berlin in particular is a boon to this mode of holiday travel. Cafés and restaurants alike are calm, no-hurry respites in which the waitstaff is in no rush to see their patrons clear space for the next customers. It is not uncommon to find people sitting for hours on end, whiling away their day amid friendly regulars and watching the clouds roll by overhead and people bicycle past. Strange to all Americans unfamiliar with the mores of European culture on the whole, simply paying one’s check almost always requires specific notification of the staff on duty that one wishes to pay and depart. Their assumptions favor a patron’s staying rather than leaving – and one pays at these cafés at the conclusion of a visit rather than upon receipt of a drink. It’s a way of life I appreciate and to which I quickly acclimate myself. Remember, you can find all of the summer’s posts in one helpful spot – on this page! 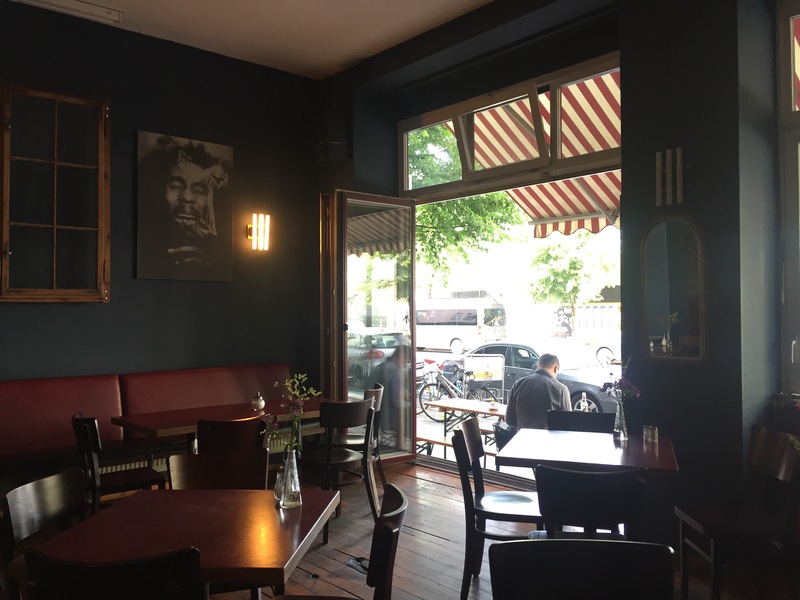 This entry was posted in Travelogue, Travelogue 2017, Travels and tagged Berlin, Cafe Culture, cafes, Coffee, coffee culture, Culture, germany, holiday, kreuzberg, Prenzlauer Berg, Slow Travel, types of travel, Walking, walking tour, wandering. Bookmark the permalink. Glad I subscribed. Enjoyed these three new posts. Very glad that you did, also!